Enjoy a total change of scenery in the countryside, on the hillside, in vineyards and castles, in a region steeped in history and inviting relaxation. In addition to the breathtaking views of the region, this villa offers all the comforts for a successful stay: outdoor heated infinity pool, terrace and outdoor garden, barbecue invite you to relax. 4 bedrooms, its 3 bathrooms (1 shower in the rock and an integrated shower in the master suite), a living room with panoramic views of the valley and its open kitchen will welcome you either couple, family or friends. Exceptional view, diversity of landscapes. Welcoming region and radiant sun. Private house and pool. Change of scenery. Quiet and nature. As a family of four with grown kids, it is sometimes difficult to cater for all when on holiday. This nice place did just that. All mod cons, a nice caretaker and only half an hour away from anything. Nice warm weather, beatifull view from the pool, history and nature on your doorstep. What else do you need? Thanks again for everything and who knows, maybe goodbye. La maison est spacieuse, agréable et le panorama est magnifique. Située au bout du village, sans vis a vis, cette location permet de passer des vacances paisibles et reposantes. Merci à Marco pour son accueil et sa gentillesse. Une très belle région.et nous sommes enchantés du temps que nous avons eu. Nous recherchons effectivement des endroits où chaleur et soleil sont au rendez-vous. et nous avons été servis. De belles randonnées aux alentours. Et surtout du farniente. Petit problème avec la piscine et le spa. Mais nous sommes des personnes qui sommes toujours de bonne humeur. Nous avons passé un bon séjour. La vue depuis la piscine débordante vaut à elle seule le détour! Superbe propriété dans une superbe région à la nature préservée et un peu sauvage. If you find in the village of Montgaillard peace and quiet, numbers of activities are also present to you in the region. By car you drive through the small villages nearby, discover the Cathar castles or visit the many wineries. 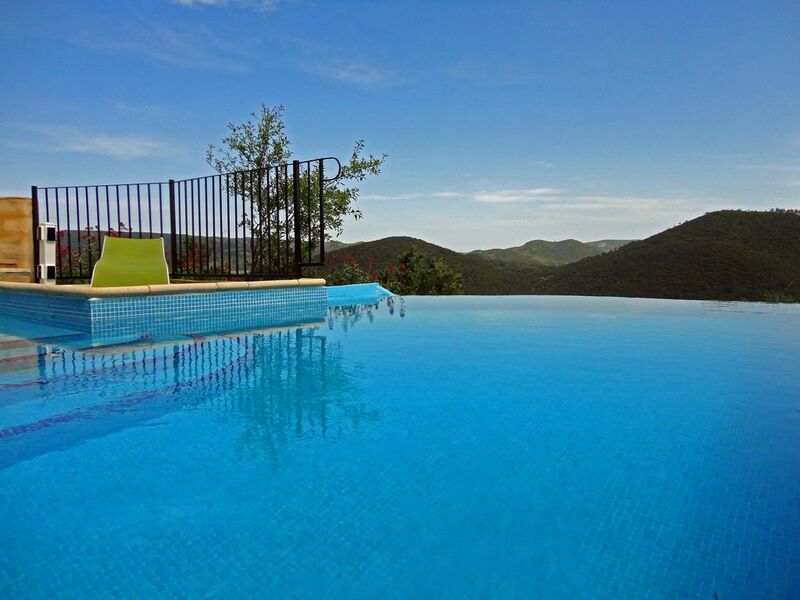 The house is located 60 km from the beaches, near the Pyrenees and not far from Spain.